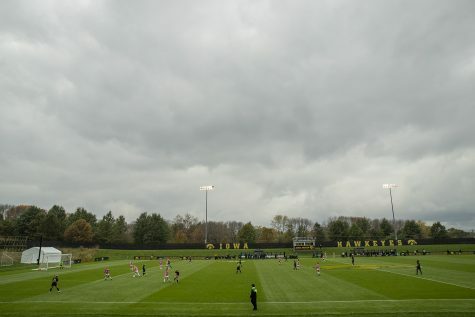 The Hawkeyes fall against Michigan State, Michigan during weekend play. 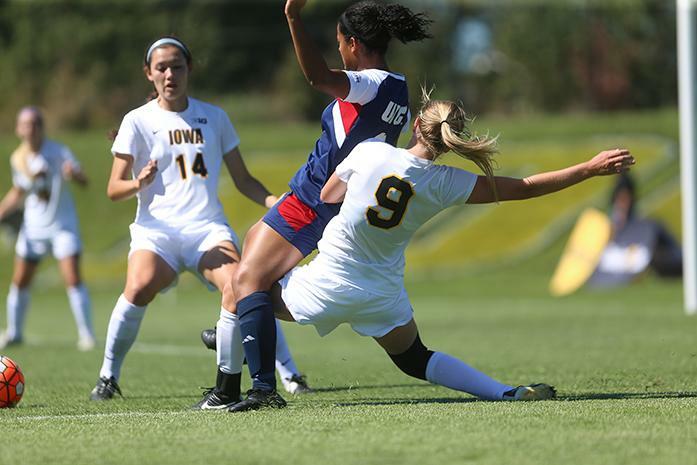 Iowa soccer’s first two games of Big Ten play did not go quite as planned. 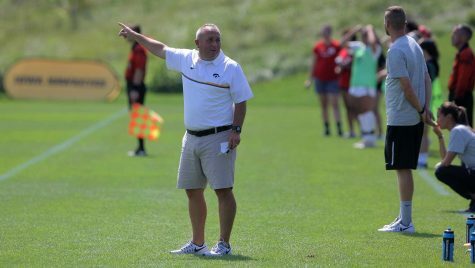 The Hawkeyes lost both of their contests, first against Michigan State on Sept. 18 and Michigan on Sunday. 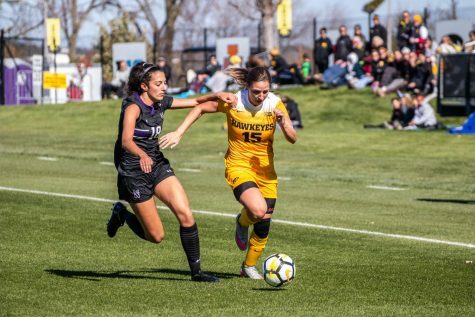 With the two losses, Iowa was knocked all the way down to 13th in Big Ten standings, tied for last with Maryland. 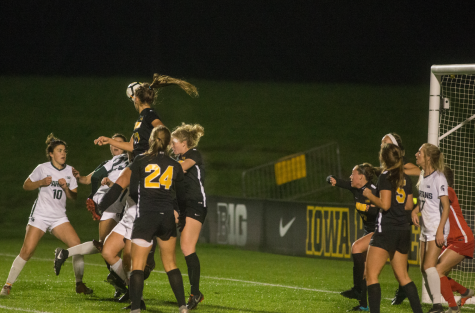 Iowa gave up the first goal to Michigan State very early, only 1:32 seconds in. 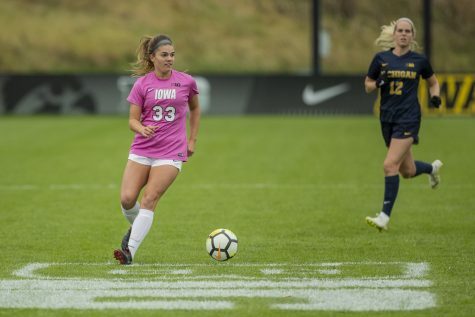 The Hawkeyes allowed a second goal to the Spartans slightly more than 30 minutes later, leaving them at a 2-0 deficit before halftime, However, a goal by freshman Alina Magruder allowed the Hawkeyes to come within 1 five minutes before the half. The second half was much less exciting than the first; Iowa had only one shot in the last 45 minutes, and Michigan State had two. Iowa’s struggles with getting shots continued into the game with Michigan. The Hawkeyes had only three in the game — two in the first half and one in the second. 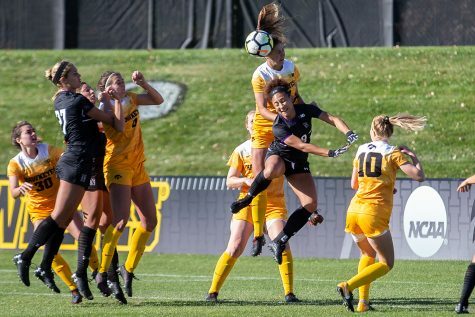 The Wolverines, however, got in 27 shots on Iowa’s defense, which forced senior goalkeeper Hannah Clark to make a season-high 7 saves. 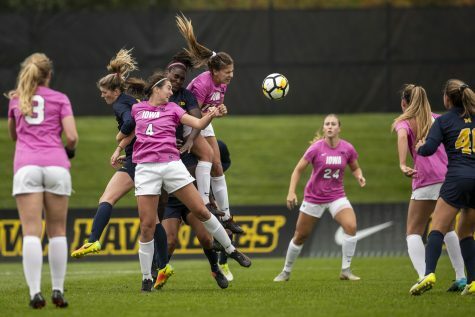 Although Michigan challenged the Hawkeyes defensively, the team only scored 1 goal, in the 89th minute. 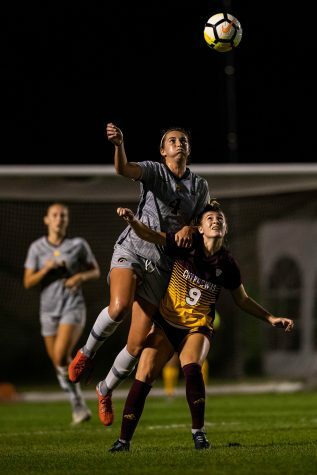 Michigan’s Lulu Haider headed the ball past Clark to put the Wolverines up 1-0. DiIanni was much happier with the loss to Michigan than he was with the one against Michigan State.